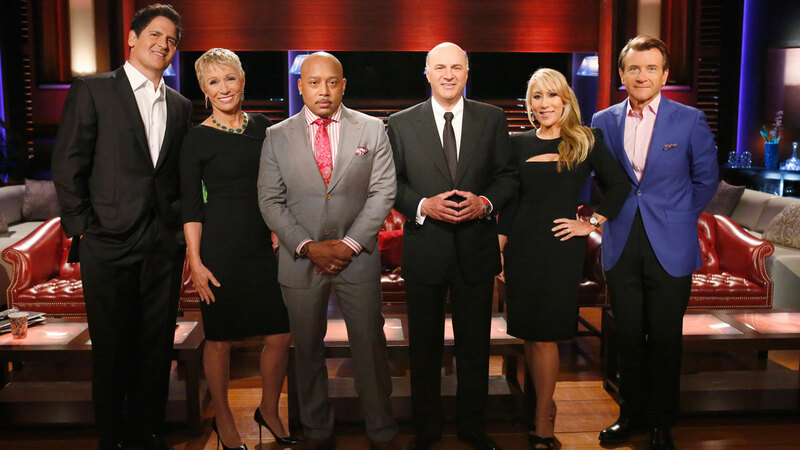 Shark Tank–the prime-time feeding frenzy where successful entrepreneurs fight over promising startups, and ruthlessly chew up the unprepared–provides a wealth of knowledge about what venture capitalists need to hear before they invest in your company. Shark Tank–the prime-time feeding frenzy where successful entrepreneurs fight over promising startups, and ruthlessly chew up the unprepared–is stirring up much buzz in its third season. To date, the Sharks have invested more than $6.2 million of their own money in a number of companies. With billionaire Mark Cuban, real estate mogul Barbara Corcoran, venture capitalist Kevin O’Leary (aka Mr. Wonderful), and other business magnates sitting in as the Sharks, the show offers a glimpse of pitching sessions gone totally right–or deliciously wrong. An example: When three ice cream makers first lined up in front of the Sharks to pitch their product, they generated some friendly conversation. After all, the concept of morphing together beer and America’s favorite frozen treat is bound to appeal to our inner glutton. However, when the investors started asking the entrepreneurs tough questions about their finances, the men from The Brewer’s Cow had a minor meltdown. Whether the Connecticut-based founders were the victims of calculated editing or simply unprepared, their presentation lacked a certain professionalism. The final verdict? A flurry of “I’m outs” from the Sharks. Yes, the episodes are entertaining. But more than that, they provide a wealth of knowledge about what venture capitalists want to hear before they invest in your company–and what will turn them off. Here’s are 7 lessons from the Sharks about learning what it takes to make it as an entrepreneur. This is the number one lesson from Shark Tank. Whether you’re presenting to a team of investors or simply working to grow your business, it’s critical that you understand how much cash is coming in and out of the business. While you might think that most entrepreneurs on Shark Tank have a handle on their books, many believe that their passion will sell their wares. However, as we’ve learned from many of the Sharks, passion only gets you so far–numbers tell the real story. 2. Be a good marketer. Although the boys from The Brewer’s Cow didn’t get the deal they wanted, there is no doubt that the exposure from the show is extremely valuable. However, as a Shark Tank fan shares on his blog, the company’s website is pretty lackluster for a brand that hopes to go national. If you extend the online search to their Twitter feed, there is very little interaction since the show aired. The Brewer’s Cow currently has a deal with Whole Foods, but on the online front there is a lot more they could be doing just days after the television broadcast to capitalize from the on-air buzz. When a young entrepreneur appeared on the show to sell his custom clothing, he expressed the business drive that the Sharks love, but things started to fall apart when he talked about his lifestyle. Aside from asking for a starting six-figure salary (when the company has only grossed just over $315,000), he also lost some Sharks when he declared, “I’m now living the L.A. life.” As Shark Daymond John, founder of FUBU, expressed on his Twitter feed, a statement like this isn’t very appealing to a potential investor looking to form a responsible partnership. There are good and bad times in your business to ask for investment money. For many of the companies diving into the Shark Tank, they have great ideas but it’s too early on in their businesses to be on the hunt for a large amount of cash. Mom Raven Thomas was one of the most impressive entrepreneurs on the show in terms of leaking out little bits of information about her business to entice the Sharks, one by one. For example, when she shared that Sam’s Club recently put in an order for $2 million for her chocolate-covered pretzels, she had Cuban drooling to seal a deal. 5. Have a good story. When Travis Perry explained his company’s motivation to the Sharks, it tugged on their inner musician heart strings. Perry invented his product Chordbuddy to help new guitar players like his 10-year-old daughter avoid frustration when learning how to play the popular instrument. With a great story and a stellar product, Perry got investment help and now has his Chordbuddy product in more than 100 music stores. 6. Be prepared to walk. Some things are not meant to be, which was the case with entrepreneur Scott Jordan. As founder of the successful brands SCOTTEVEST and TEC, he appeared on the show to sell a percentage of the latter (a technology-enabled clothing patent). The Sharks, on the other hand, were interested in Jordan’s main business, SCOTTEVEST, which is on track to make more than $20 million this year. After a heated debate with some of the Sharks, Jordan was happy to walk away without a deal but with some new publicity for both his businesses. Remember all those things you learned about being nice in kindergarten? Those same things apply in the boardroom, no exceptions.